Just don't forget the 100nF's decoupling capacitors. The flash needs one for every supply pin, the CPDL needs at least 2 or 3, say one per supply pin. Specially during programming, there is a lot of activity. Can you show the back of the pcb? I think that you have a double sided lay-out, I am worried a little about the ground plane. I want order one first. It seems that you route memmory pins through cpld chip? Why so? Why aren't you connecting flash directly to psp? As far as i understand only CE signal should be gated, and others may pass directly? Isn't it easier and cheaper to build one gate on dicrete components? 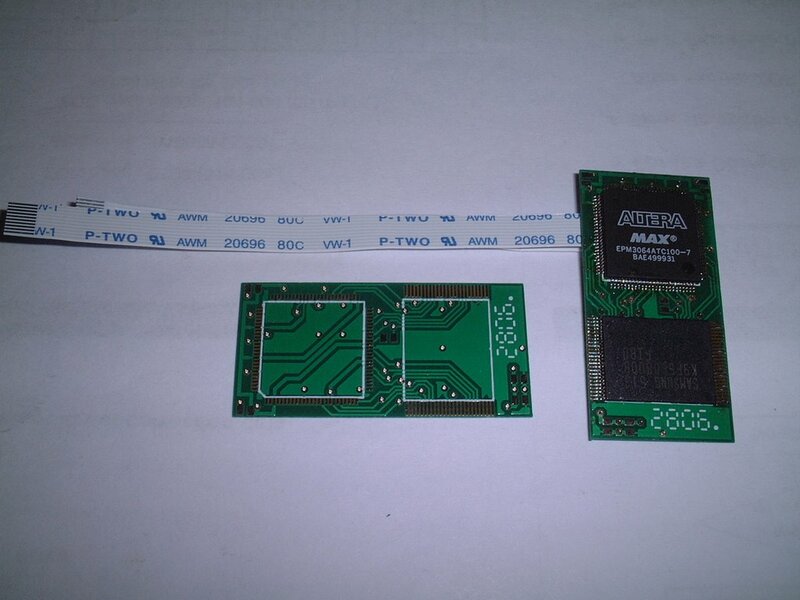 Nand flash is directly connecting to PSP ! !